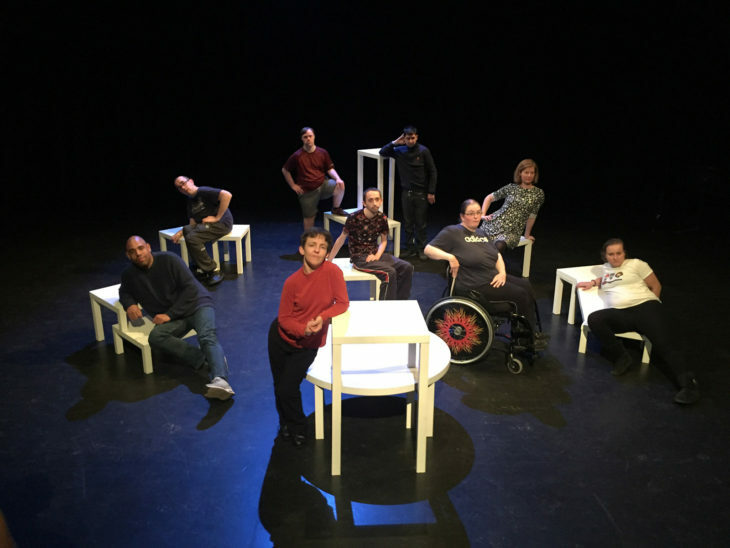 This performance is responding to The Manchester Evening News report, in October 2015, describing a 140% rise in reported hate crime incidents against disabled people. We have been exploring how people labelled as different often become stigmatised and all of the pieces have come from our artists own experiences. Some of our performances will coincide with National Hate Crime Awareness week in September. As part of our project we are also creating several workshops which can be taken into schools, colleges and work places as a way of raising awareness and changing attitudes which are often associated with disability. It all started several months ago when we started exploring the words ‘difference’ and ‘stigma’. We looked at how people can be different and what stigmas can be put on to individuals who are labelled as different. We then started looking at stigmas which are put on people with disabilities and how they can have a negative impact on their lives. After lots of workshops based around stigma, difference and labels we started working individually to create 10 pieces of live art. This is where the challenge began, each artist needed to bring together their own ideas and create a piece of live art. All of our artists have developed something unique, some of the pieces are interactive whereas others are visual. To hear our artists thoughts on being part of this project, take a look at our project video. We are currently sharing our work so far with small audiences to gain feedback. Our first sharing was at the Sutton Community Centre on the 11th August, we had a small invited audience who came and we had a really positive response to our work. 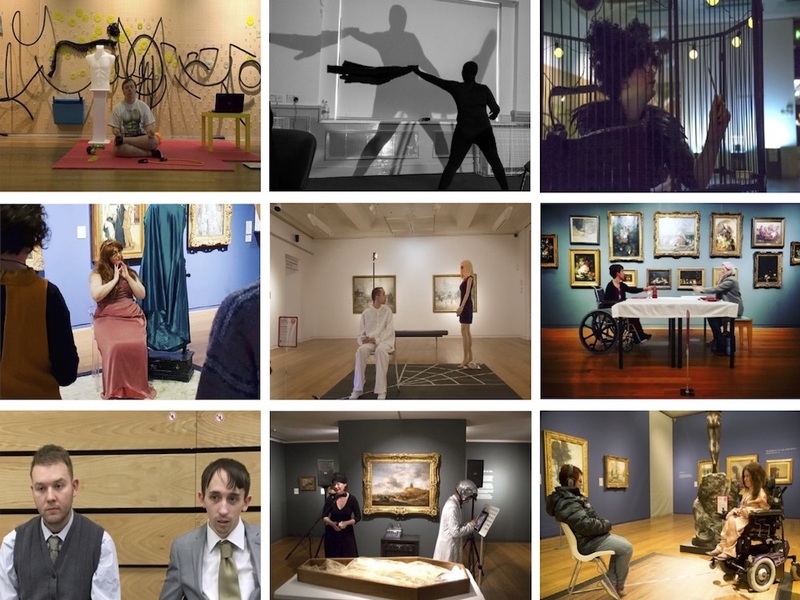 We have a sharing this Friday at Venture Arts before further performances at Manchester Art Gallery & Salford Museum & Art Gallery in October.